At Villaggio Le Orchidee in Vieste everything is arranged so that guests can enjoy holidays in complete freedom just a few steps from the sea. The holiday village offers 35 refurbished bungalows, all with air-conditioning, functional and tastefully furnished. Accommodation consists of bedroom, wardrobe, sofabed, equipped kitchen corner with kitchenware and refrigerator, bathroom with hot water, wash basin, WC and shower, satellite TV, telephone and covered veranda. 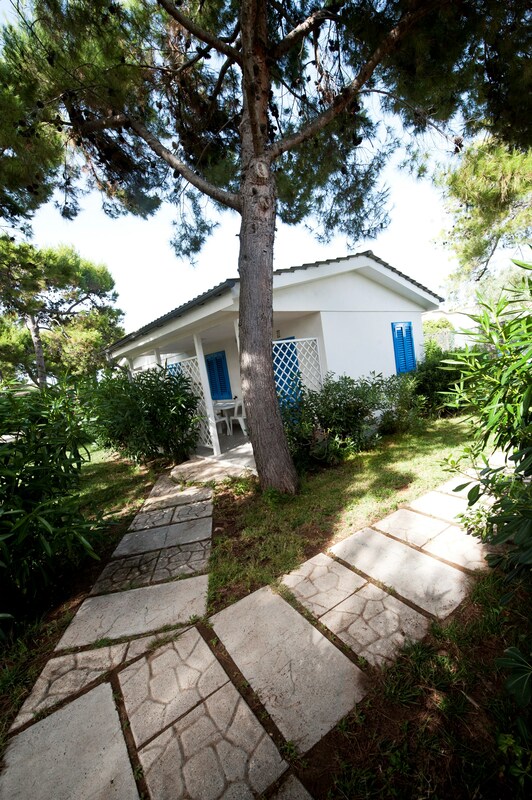 Ideal for independent and relaxing holidays in close contact with the amazing nature on the Gargano. Please enter the dates of your stay here in the calendar on the right and formulated so your online prenventivo. Children and additional beds: Children under 12 years of age stay free in parents’ bed. Children under 2 years of age stay free in a cot. Additional guests over 12 years of age stay free in additional bed. Maximum number of additional beds/cots permitted: 1. Any kind of additional bed or cot is available on request and subject to prior confirmation from the establishment. Pets: Small pets are welcome. Private beach: Beach service available at a cost: 1 parasol + 1 sun-lounger + 1 sunbedo. 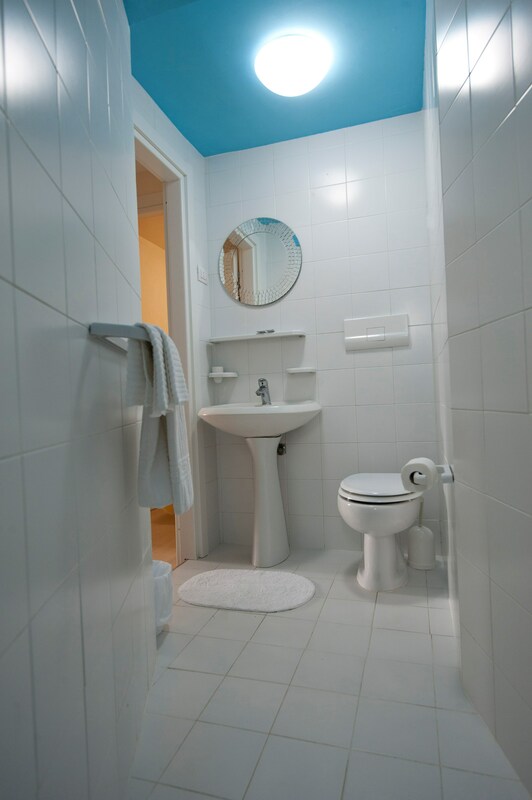 Final cleaning: Available at a cost of € 35.00 per 1-room and 2-room and € 45.00 per 3-room. Parking: Second car parking space € 5.00 per day. 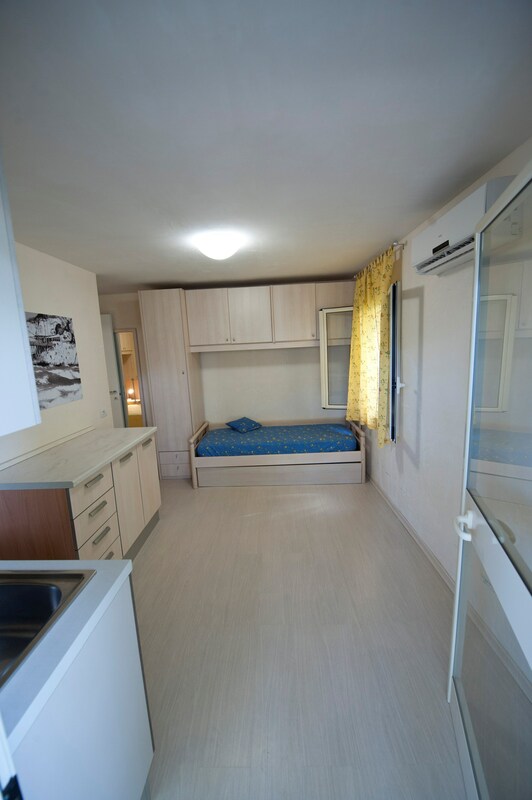 The payment of the rental period is performed in advance as follows: 30% deposit on booking and are charged to credit card or bank transfer the balance of the entire stay is done at Check In. The communications regarding cancellations or waivers will be considered only if made by registered letter or Email. In the event of a reduction of the rental period, for late arrival or early departure, whatever the cause, no refund is given.